Have you ever been in a spot where you don’t know which direction to go next? I’m at that spot now. As I write this post, it will probably help me clear my thoughts and figure out what to do. I have one commission left to finish and then I am done with commitments. Whew! So where do I go from here? Do I do something that really inspires me? Or do I do a collection for those demanding 16″ Divas that I can make money on? And I do need money. It’s just that the thought of making the same thing at least 4 times and 12 different items to make at least 4 times each- well it just doesn’t sound appealing. An 18th century black silk riding habit. I had a corset finished and the base for the hat, a pattern drafted for the jacket but that is about as far as I got since other things became priority. Now the other thing is, is I don’t know if I would be able to sell it once finished. It’s something I have wanted to do for a while and will want to keep it. I should just do it. But then I have to make some money-especially if I need a new car and a new doll which is a whole other post. We’ll see how it goes. I’ll be sure to post. I finally finished Rose Noir. I love how it turned out and took pics yesterday. I think most of them turned out pretty good, I’m getting a little more used to this camera and using the settings. work in progress. Black silk dupioni with lace and silk ribbon embroidery corset to fit Asian ball jointed dolls. 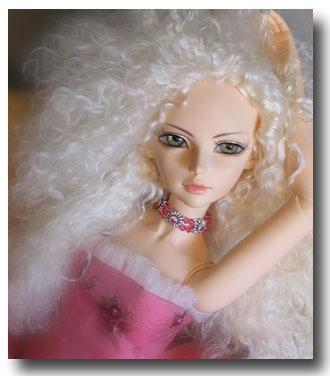 The Roses Couture · It's all about the dolls!